Participation is free of charge. ConsumerRewards.co.za guarantees that this competition is carried out. After entry into the competition draw, users are presented with a questionnaire and promotional offers from third party advertisers. Completing the questionnaire is not a requirement for entry into the competition, although users acknowledge and consent to their email address and other contact information supplied being provided to third party advertisers upon entry. ConsumerRewards and the www.consumerrewards.co.za website is not affiliated with, sponsored by or endorsed by any of the companies associated with the prizes. The competition is conducted by Consumer Rewards a brand owned and operated by Forge Business On-Line (Pty) Ltd (Registration Number: 2004/00757/07) (“the Promoter”). The competition starts 1 March 2019 and ends on 1 June 2019, or the prescribed minimum number of entries has been achieved. No late entries will be accepted. 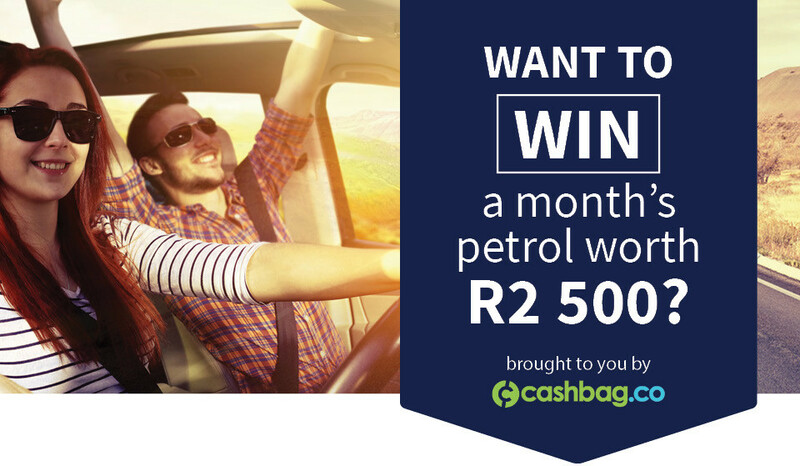 There will only be 1 grand prize winner who will receive a R2 500 Petrol voucher. The competition can only be entered by South African resident persons who are eighteen years or older at date of entering. No purchase is required for entry to the competition. Only eligible entries made through the website competition form (https://www.consumerrewards.co.za) will be considered for the draw. Only entries with valid contact information & a unique email address will be included in the draw. No automated or programmatically generated entries will be considered for the draw. To be eligible for the grand prize individuals must complete the form, answer the question on the form and provide accurate information. The winner(s) will be randomly drawn by a third-party service and the draw will take place on 1 June 2019. The draw will be done by using an independent online random number generator (http://www.random.org/) and the draw process will be overseen by the promoter’s auditors. The prize-winner’s details may be posted on www.consumerrewards.co.za, Facebook.com and other media and the winner will be notified via email by no later than 2 days after the draw. If winners are not contactable within one month, the prize will be forfeited. Prizes not collected/claimed within 30 days of being won will be disposed of. By participating in this competition, the winner of the grand prize agree to release and hold the promoter, its agents, representatives, affiliates and service providers free of any and all losses, damages, rights, claims and actions of any kind in connection with this competition or resulting from acceptance, possession, or use of the prize, including, without limitation, personal injuries, death, and property damage, and claims based on publicity rights, defamation or invasion of privacy. No director, member, partner, employee, agent, consultant, promoter, supplier or anybody directly or indirectly involved in this competition and any spouse, life partner, immediate family member, business partner or associate of such person is allowed to participate. The prize(s) are (is) not transferable, exchangeable or redeemable for cash unless the promoter cannot provide the prize(s) for whatever reason, in which case the prize(s) offered, at the discretion of the Promoter, will be of equal monetary value to the initial prize(s). The winner(s) agree to accept the prize(s) as is, at their own risk. The Promoter reserves the right to cancel, modify or amend competition terms as it deems fit. Participants and winner(s) absolve the Promoter, its affiliates, its advertising agencies, advisors, suppliers, nominated agents and dealers from liability from any and all claims howsoever arising, including from willful misconduct or negligent acts or omissions on the part of any such person. The Promoter reserves the right to alter or cancel the competition at its discretion, without recourse. By participating in this competition, all participants agree to be bound by these official rules. The Promoter’s decision regarding any matter arising out of the competition shall be final and binding. No correspondence will be entered into. For further information or queries contact the Promoter’s Advertising Agency, Forge Business On-Line (Pty) LTD on PO Box 67788, Highveld, 0169, competition@forgemedia.biz, 0872310377.